This is a white guy. She has… well I’m sure she has hobbies and friends and something exciting going on in her life that is equally as exciting as that helicopter. Perhaps she enjoys scarves as evidenced by the one time she is seen wearing a scarf. There is also an elevator. But this is not Grey’s Anatomy. Well, Beyonce is on board with this movie so I guess it’s fine. Fifty Shades of Grey hits theater February 13. Your mom will ask you to go with her. Don’t. Have I ever mentioned the time I was picked up and spun around by a male stripper? Probably not because this happened before the days of Twitter or Tumblr (gasp! ), a time when I was less willing to share my trauma on the Internet. So in case you’re wondering, getting picked up by a sweaty, shirtless man in leather briefs is not fun, glamourous or magical. It’s just… a bizarre interaction that you should always be heavily intoxicated during. Unless male strippers are your thing, then go for it and have fun. This pleasant anecdote brings me to the trailer for the much-buzzed-about Magic Mike. 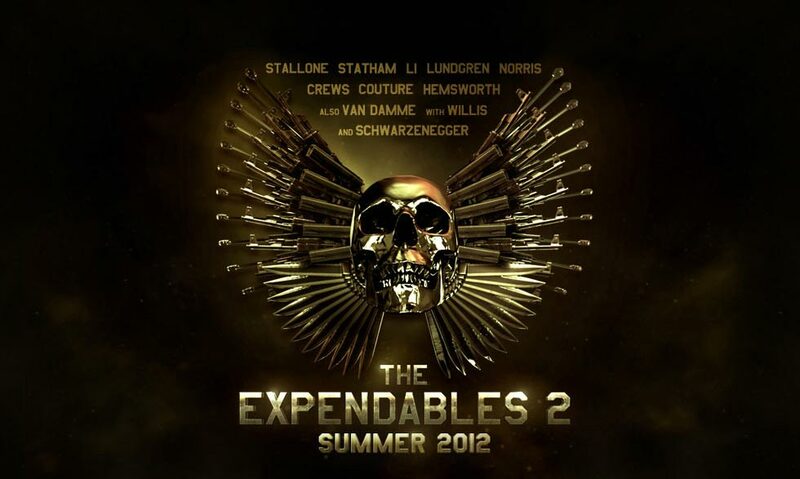 Steven Soderbergh directs this comedy starring Channing Tatum, Alex Pettyfer, Matthew McConaughey, Matt Bomer and Joe Manganiello as a group of male strippers. The movie is based on Tatum’s experiences as a male stripper. (If you didn’t know Channing Tatum was a stripper, then you probably never saw him give Ellen Degeneres a lap dance.) Tatum plays Magic Mike, a veteran stripper who dreams of becoming a furniture designer. While showing a new recruit (Pettyfer) the tao of stripping, he meets a girl (does anyone else recall Cody Horn’s dreadful character from Rescue Me?) who makes Mike question his life. I think. This is kind of unclear but I’m assuming the conflict is going to be that straightforward and predictable. Nevertheless, the trailer is truly magical. The most important detail I have gathered about Magic Mike is that the stripper I encountered was unfortunately not Channing Tatum. Magic Mike seems like a fun guy. He’s a stripper with dreams and a heart of gold! Male strippers really, really, really creep me out. But if anyone can make me get over my prevailing fear of male strippers, it would be the unlikely dream team of Channing Tatum and Steven Soderbergh. The first trailer for Woody Allen’s next film The Bop Decameron Nero Fiddled To Rome With Love debuted today. The romantic-comedy consists of four star-filled vignettes set in the Italian city. In the trailer, we’re mostly introduced to a story line that features Ellen Page, Jesse Eisenberg and Greta Gerwig caught in a potential love triangle with Alec Baldwin acting as the unintentional commentator. We also get a glimpse of Allen, in his first acting role since Scoop, and Judy Davis as a couple meeting their daughter’s fiancé’s family. Meanwhile, Roberto Benigni is entangled in a case of mistaken identity and Penelope Cruz vamps it up. All in all, To Rome With Love looks promising. 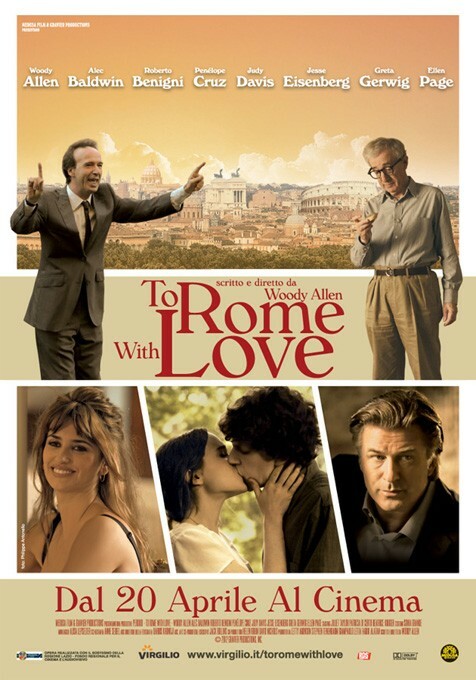 Following the success of Midnight in Paris, I imagine more people will be hyped to see To Rome With Love. What about you? What do you think of the first trailer for To Rome With Love? Will you check out To Rome With Love when it hits theaters on June 22?